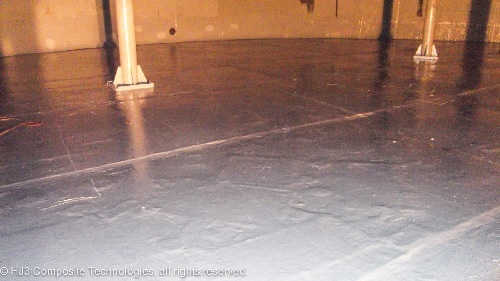 ""We installed HJ3’s CarbonSeal Tank Repair System as a 3 year repair. That was 12 years ago and it is still doing great." 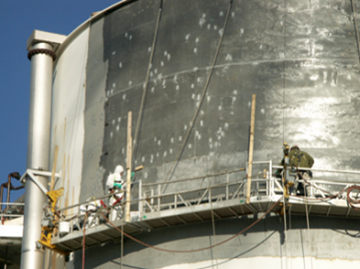 The CarbonSeal™ Steel Tank Repair System meets the tough demands of your tank applications. of through-holes our systems save you significant money over traditional repairs or replacement. Even with 900 holes in the side of your tank, CarbonSeal seals and strengthens your tank back to its original design values. or eliminate downtime costs by wrapping the outside surface of your tank. 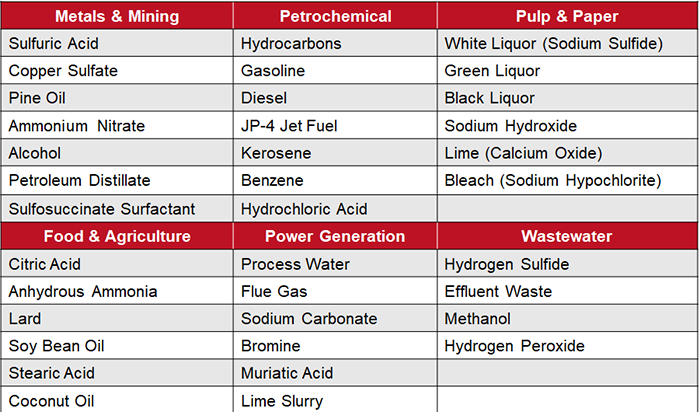 and solvents, maximizing long-term durability of the system. 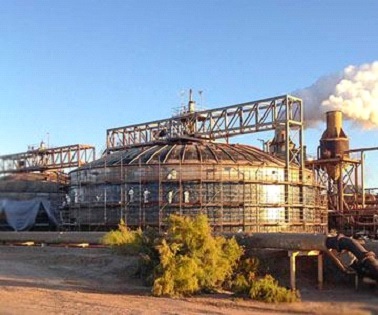 had significant steel loss caused by the exposure of brine water operating at 206 degrees F.
The surface of the steel was abrasive blasted to remove rust and contaminates. The surface was then cleaned to remove chlorides and neutralize the chemistry of the steel. 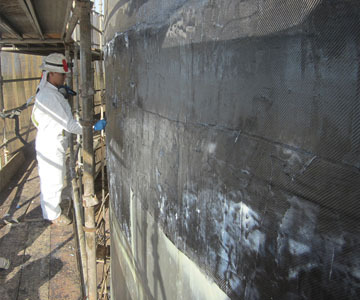 CarbonSeal Carbon Fiber systems were then wrapped over four main areas of the of the tanks: the tank sidewalls, the dome roof connection, the dome roof, and a 36″ diameter overflow pipe. 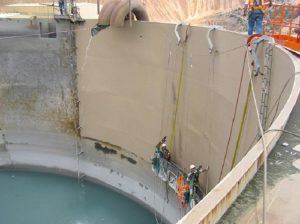 The tanks were all structurally strenghened and sealed within 12 weeks, saving the client over $3 Million. 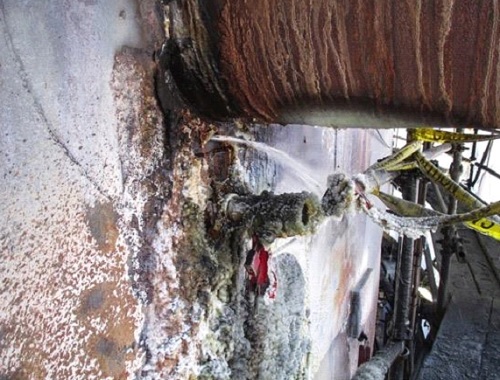 A 2 million gallon process water tank was suffering extensive corrosion, pitting, and buckling of the steel tank walls, floors, and roof. 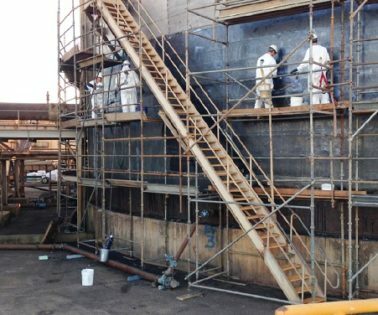 The client could not wait the required 6 month time frame to tear down and replace the tank at a massive cost of $4.5 Million. 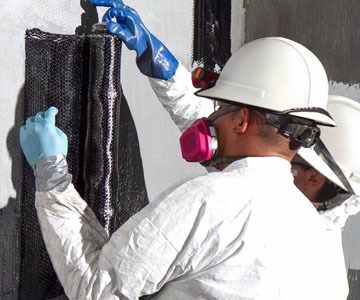 HJ3’s CarbonSeal™ system was installed in 6 weeks, saving the client over 80% of their replacement budget. 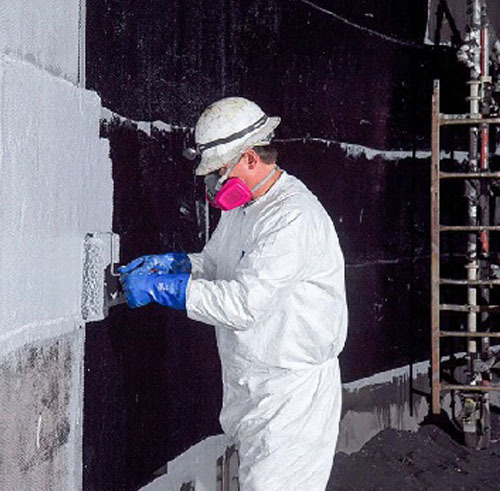 After surface preparation was performed to profile and clean the steel tank walls, HJ3’s CarbonSeal™ system was wrapped on the inside surface of the tank to seal the tank and strengthen the steel beyond initial design values. The sytem was then coated with a chemical resistant polymer creating a structural liner to extend the service life of the tank for 20 years. 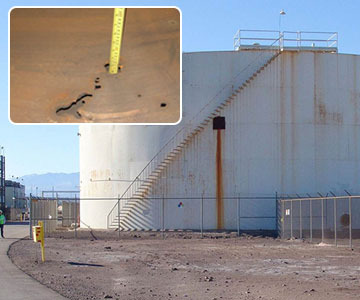 See more steel tank repair case studies here. If you have a specific steel tank application you would like reviewed, please contact an HJ3 Project Manager to schedule an on-site survey. 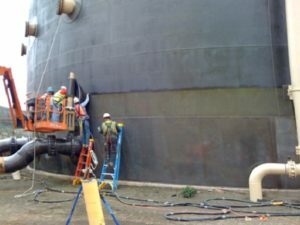 Or request and complete the Steel Tank Repair Worksheet, and HJ3’s engineering team will diagnose the problem and send you engineered systems in a matter of days. Contact HJ3 at 877-303-0453 or fill out the form.